Is your business starting the struggle with coordinating and ever increasing number of customer transaction or keeping track who is buying what? For any business support being able to build a close relationship with our customers is essential for future success. However in order to transform such relationships you are going to need to be able to learn as much as you can about your customers. Conveniently centralized source of truth store about all your customers and every information. By having all your customer details just a few clicks away you will be much better to give your business space to grow customer service same time. In today’s cloud-based world choosing the right computing resources for your company is often the most critical factor when it comes to future success. Even for small businesses with under 100 employees a customer relationship management addresses the crucial need to build and maintain relationships with both new and existing customers. Today’s dedicated CRM software offers more robust solution than something like a spreadsheet, functional database, are a database that close to achieving it. In fact CRM software typically centralizes a number of core business operations ranging from accounting to marketing. 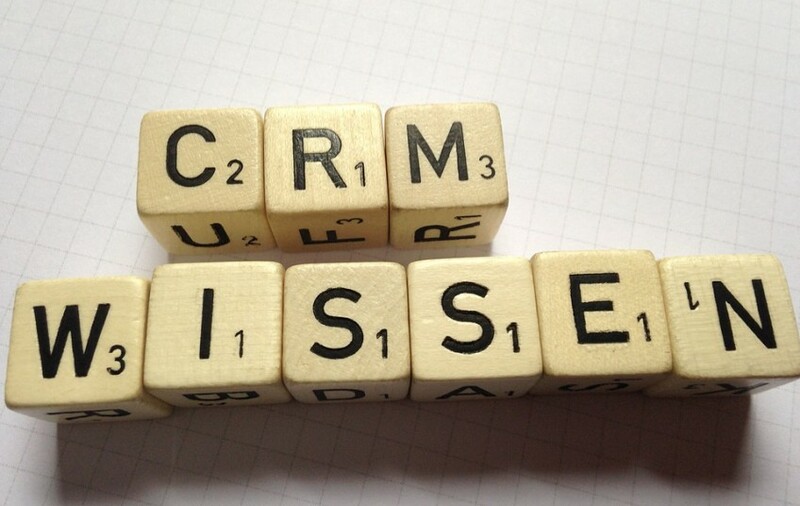 Does your business really need CRM software. What are smaller companies still use spreadsheets to operate their sales and market routines. They offer a degree of familiarity to employees and the cost of using such a solution is minimal. However the businesses relying on the most primitive solution, it quickly becomes legacy and impractical. It is completely inappropriate for multiple users as it offers minimal automation and makes it difficult to share data and much more,. For any growing businesses the list of disadvantages of relying such basic solution goes on and on. Robot system for maintaining contact information for every customer and potential lead that you can access at a moments notice. CRM basically operates around database detailing the wealth of information ranging from customer insights to contact information and past purchases. Asia may also provide various automation features to help boost sales. Just a glorified address book it can help you build more effective marketing campaigns, by raising Awareness to promising leads automatic email marketing, , sales and much more. Sincere of CRM is inherently customer centric solution, it can provide everything you need to offer improved customer support. Support staff to have immediate access to up to date information. It makes it easier to offer timely and relevant solutions to any problem that may arise. CRM software can greatly simplify many daily business routines with which, in turn means saving money and time. There is a bigger picture to consider, one that concerns helping your sales and marketing teams to fulfill key business goes more easily. Important initial decisions concerning whether your CRM system will be placed based on cloud, and will be delivered using software as a service payment model, or run on-premises, typically involves a one time payment rather subscription. Traditionally all CRM activities are carried out using local resources. However the solution means dealing with long and complicated implementation Times, and considerable amount of investment. When was local server computers and expensive hardware. Needless to say these factors combined make a proper CRM solution viable for small business on limited budget. Fortunately things have changed in the past decades decades. Almost half of the company are able to successfully implement a new CRM within 12 weeks. It is most entirely because most business regardless of their size out for a cloud based solution. A cloud based CRM greatly lowers initial startup cost as well as ongoing maintenance cost, since it requires minimal on premise hardware, support team. Cloud based CRM greatly lowers initial startup cost as well as ongoing maintenance, request minimal on-premises hardware. In other words you don’t need to pay for IT. All that one needs to do is use a network of thin client computers and cloud based CRM solution. Since thin clients are very basic in terms of hardware and software, there is no necessity for massive investment, and has a very minimal attack. Thin clients are not prone to any customer data breach, data would be stored, on the drives locally. This gives and has a great reduce the risk of confidential data being exposed by malicious software. However security of CRM is still debatable, and largely depends on the service provider. It is quite important to maintain confidentiality in customers data, and Store in private clouds. Despite the significant advantage of taking a cloud based approach there are always remains a strong case for on premises CRM in certain situations. The cloud maybe all rage, but it also requires an exceptionally reliable Internet connection and ample band with. One of the most frequently asked questions pertaining to any business software is whether to go for the best of the breed system or an integrated application suite. If you have no idea what this means then don’t worry since it’s actually fairly simple. In case of CRM software the best of The Breed solution is a simple program that offers CRM features. In other words a single entity that specialises a specific task. By contrast and integrated applications youth offers a collection of programs all of which are designed to do a different job, yet all work seamlessly together in form of a centralised management platform. Going towards an integrated applications suite may sound like a no brainer. After all it provides you a service managing orders, storing customer data and managing finances. Creating and monitoring marketing campaigns and other roles. In other words a suite of integrated applications can provide the entire software environment that your business needs in a single convenient deployment at a single fee. Many IT solutions inhertit multiple applications often from different vendors to different jobs. These applications need to be integrated at your end which can get extremely costly and complicated. Best of breed solutions tend to be best at what they do, a suite of applications is somewhat a jack of all trades. Tere at least any business will be best of going with best of breed vendors and building their own from scratch setting environment for operations. However resources such up approach is often prohibitively expensive. Integrated CRM stop systems are really only something for large businesses with dedicated it departments. For small businesses and integrated application Suite such as SAP business one, usually present some more affordable user friendly solution. In conclusion, while SaaS based security is the most important initial concerns while buying a CRM software, it is particularly important that you give your team. If you are buying a Saas based CRM solution, take a little time to get accustomed, ask for a trial., and educate your employees. Everyone is adequately trained, cotton data is safely carried over to the new system. To ensure everything goes smoothly and list the help of professional IT consultant will be able to address the concern, and minimise any of the downtime risk.